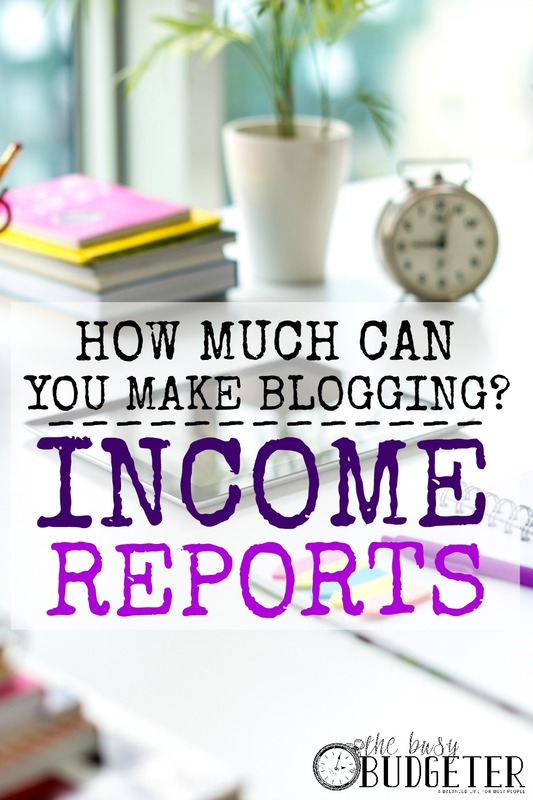 All of my blog income reports can be found here, will be updated with every new blog income report as they get published. UPDATE: If you're struggling to bring your blog to the next level (or any level!) then I'd love to tell you how to work SMARTER and not HARDER. You're likely making it harder than it needs to be. Check out my FREE cheat sheet the First 10 steps to a Profitable Blog Checklist to make sure that you are on the right track! Less than 2 years ago, I had no idea that you could make a full-time income blogging. I had just quit my career to stay home with our first child and was running a home daycare for four toddlers. Let's just say that I was super busy! By a chance of fate, I opened an email from Ruth Soukup of Living Well, Spending Less talking about making a full-time income from blogging and announcing a course she had created called Elite Blog Academy. I knew nothing about blogging. I didn't understand how I would make money. I didn't know what a niche was, or a target audience. And my computer skills would embarrass an eighth grader. I didn't even know how much money “full-time blogging” meant. I was hoping for $2,000/month. But none of that mattered to me. I read that email and knew that I needed to try. Nothing scared me more than not trying and then regretting it, always wondering “what if?”. I talked to my husband that night and we took money out of our extremely tight budget to enroll in Elite Blog Academy, (which isn’t available right now, but you can join the waiting list here). I can’t recommend it enough. It changed my life. You can find out more about Elite Blog Academy here. I worked my tail off, took the class extremely slowly (it took me 9 months to complete the class) and implemented every single action step. In 10 months, I was making my “full-time” income of over $2,000. In 15 months, I was making more than I've ever made in my career. 18 months later, I was making over $20,000 a month blogging. I made the promise to myself very early on that if I found a way to make this work, then I would share my income so that others could see that blogging is a legitimate way to make a living. I wish I had known that long before I read that email. 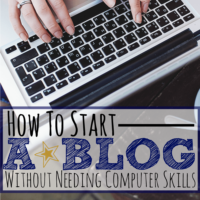 You can learn how to start a blog step-by-step here. 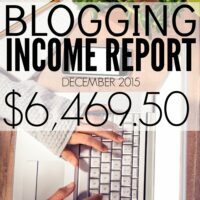 How long have you been releasing Blog Income Reports? The Busy Budgeter was created in September 2014 and I started publishing income reports 15 months later, in December of 2015. How are the income reports calculated? All of the income reports are calculated by the amount earned, not the amount received. I do this for a few reasons, the most important is that these income reports motivate me and give me feedback in the direction of my business. If I were to calculate the income reports as income was received versus earned, then there's several months separation between the cause and effect in my business which hurts my ability to make a decision. Could I make this much money blogging? The short answer is yes. Anyone can. The longer answer is a little more complicated. There are tons of bloggers making a full-time income from blogging (here's a short list of others that report their income), and more are doing it every day. That being said, starting a blog doesn't automatically make you successful. Far from it. This is one of the only businesses you can create that requires no capital (money) to start, but it requires time. If you're reading these income reports, you may not realize that I blogged 10-20 hours a week for months for little income and no promise that it would make money eventually. So, my answer is yes, you can make this much blogging, but you need to love something so much that you would do it for free. Because it's a labor of love. We clawed our way out of over $30,000 debt, I quit my career to stay home without kids and we finally got control of our money after struggling with it for years. That's what I blog about. Making this much money blogging is amazing, but it pales in comparison to being able to help people that feel overwhelmed and helpless in their financial situation find their way out of that mess. 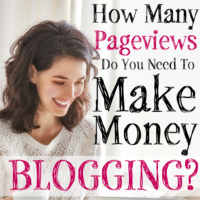 If you start a blog just to make money, this will be really hard. If you start a blog to help people, to teach them something that you excel at, and do it because you love to teach, then your chances of success rise considerably. Because in those moments that you lose faith that you can make this work, that passion will keep driving you. In the end, it was completely worth it. You can get step by step directions on how to start a blog here. Update 3/16/2017: If you’re looking to increase your blog's income, the FREE guide to Finding Affiliates that Work for You is a MUST GRAB. It even lists all of the top affiliate programs in every niche, organized by commission and topic. Grab it for FREE here for a limited time. You’re income reports were what finally motivated me to start the blog I’d been dreaming about for so long! Seeing your success has been so inspiring! And reading the piece by piece breakdown you provide has been beyond helpful. Thank you so much for your willingness to share such personal information. You are awesome! 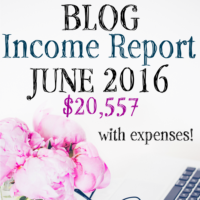 I started my blog because of reading income reports like yours. I truly appreciate the breakdown and transparency of it all. I’m looking forward to making monthly income on my blog soon! Thank you for sharing!! I have been blogging off and on for 10 years but I have decided this year I am going to get serious about it. I have read Ruth’s book, but I have not taken her course yet. It is on my list of stuff I want to do though. Thank you so much. Income reports are always inspirational, but the way you break it down and show how long it’s taken you and explain the month by month work you’ve done to get where you are today, is more than inspirational. It proves that with hard work, anyone can blog and be successful. When I look at you, I know that I can do it too. Thank you so much! Here’s to a wonderful, amazing 2017! Thanks or sharing this. I’ll be going through and looking at all your strategies. Wow! Thank you for your inspirational words and your transparency! I think it’s awesome to report your income, and once we start making money, I would love to do the same thing. I also love your point about blogging being really tough if your motivation is solely to make money versus blogging to help others and eventually making money from it. So true! I have dreamed of having a blog for years and have finally taken the plunge to get one rolling – it’s exciting and scary at the same time, and I’m definitely on a huge learning curve! Thanks for sharing this information with us at Funtastic Friday!